The UAE government is trying to increase the list of goods and services coming under the range of value added tax (VAT). 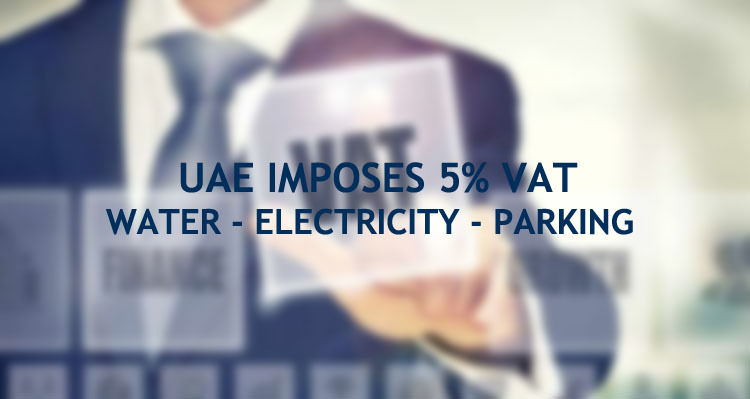 According to details, VAT will also be applied on electricity, water and parking in residential and commercial areas with 5% flat rate. This latest news will surely upset citizens and residents of UAE who are experiencing this newly implemented tax on most of goods and services. Though electricity and water are considered necessities and it was expected that these items would be exempted from VAT. But the UAE Cabinet approved VAT on these products by labeling them as supplied goods. The latest move will increase the cost of living of residents in UAE by 2.5%. The information is disappointing for residents but not unexpected or strange because many other countries also apply taxes on utility products and energy. In a separate development, the UAE authorities have also implemented 5% VAT on parking in residential and commercial buildings. Commercial buildings are already affected by VAT and the recent addition will further increase the burden on owners (especially end users) of commercial buildings. On the other hand, residential building are largely exempted from VAT but now the government has also brought such building under tax after implementing 5% VAT on parking in these buildings. This tax will only be applied on residential buildings if the parking is charged separately from lease rent. But VAT will not be applicable in case parking is given as part of property and charged as part of residential rent. If the buildings are dedicated solely for parking, then the owners will charge VAT from the people parking their vehicles. In contrast, the public parking is expected to be free from VAT. It is stated by an official that clarification from government authority is required and only after that the matter will be decided. VAT will be implemented in UAE (and also Saudi Arabia) from 1st of January 2018. It is expected that other gulf countries will also implement the same tax in the same year. The date of VAT implementation in UAE has almost arrived and things are now lot more clear as compared to past few months. But still many people (residents and entrepreneurs) are not completely aware about the impact of VAT on their lives and businesses. For complete information regarding the upcoming tax, you can contact Riz & Mona Consultancy via our landline # 971-4-5586339. Our experienced team can answer all of your questions related to VAT.